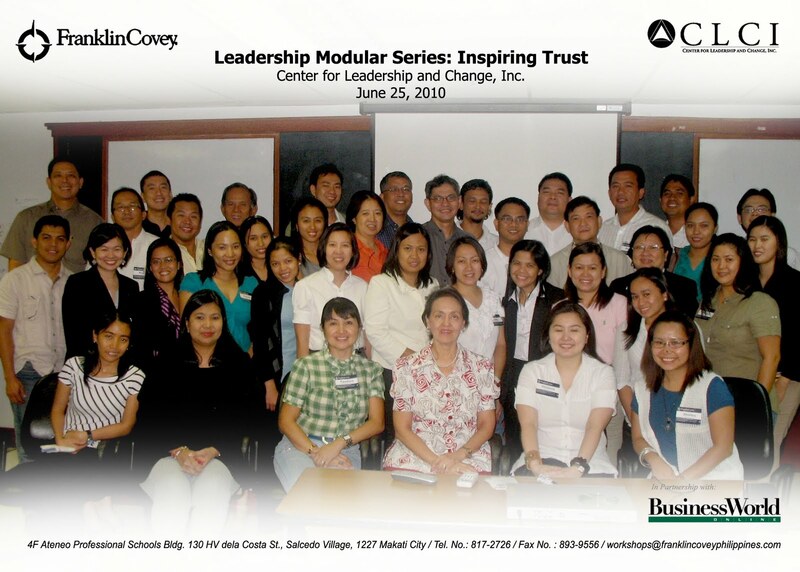 BusinessWorld and FranklinCovey held the Leadership Modular Series: Inspiring Trust where forty participants from different organizations attended. For organizations whose competitive edge depends on speed to market and worker productivity, the hidden costs of low-trust work environments can rob them of their competitive advantage and credibility. Low trust issues like bureaucracy, politics, redundancy, and high turnover rates can negate speed-to market advantages and bring productivity to a screeching halt.